As a ceilidh band we take rehearsing very seriously – unless the weather is nice and there’s a swing ball tournament to be had. 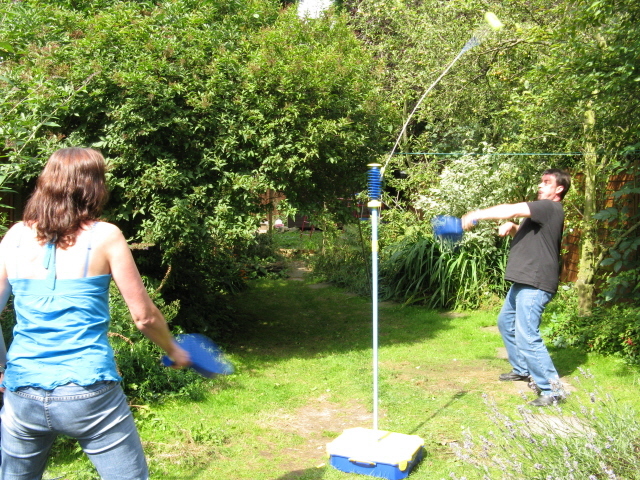 So todays rehearsal went well, got covered what we needed to and then spent the rest of the afternoon in the garden… turns out Liz, the piper, or “Whistling Wainright”, as her Swingball name is, has a killer instinct to win. “Scrapey Sean” (his Swingball name – it was all getting a bit silly at this point! 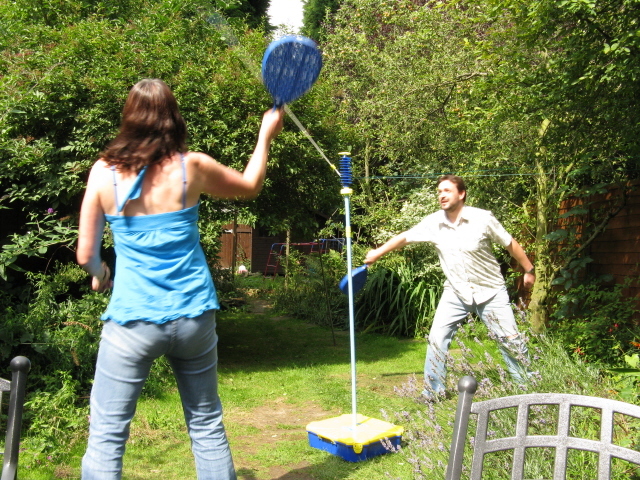 ), the violin player, bore the brunt of Liz’s brutal swingball skills and lost miserably. However “Mart the Bang”, percussionist, beat “Whistling Wainright” backhand – so she melted into a pile of goo. Losing is not an option for Liz.